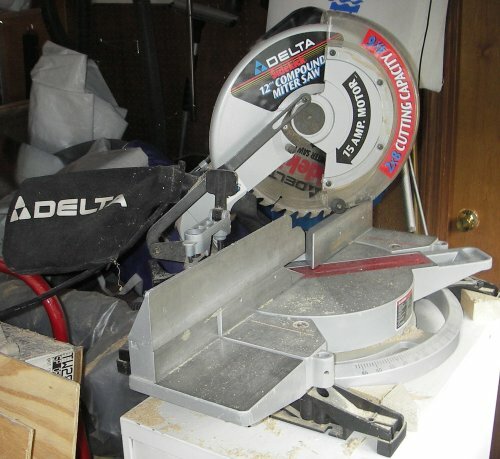 The Delta 12" Compound Miter saw. Inherited this tool from my father and can honestly say, it's the best tool he ever bought. I wasn't ever really in the market for this size, specialty of a wood saw but am extremely pleased to have this. It makes wood working very fast and very accurate. It has a nice carbide blade so I've also used it to cut Aluminum and recommend the use of hearing and eye protection when used in that capacity. Only negative comment is I wish Delta would come out with an after market laser site for it.